I have a theory that if you are patient, an item you've been looking for will eventually show up on the shelf at Target or HomeGoods. 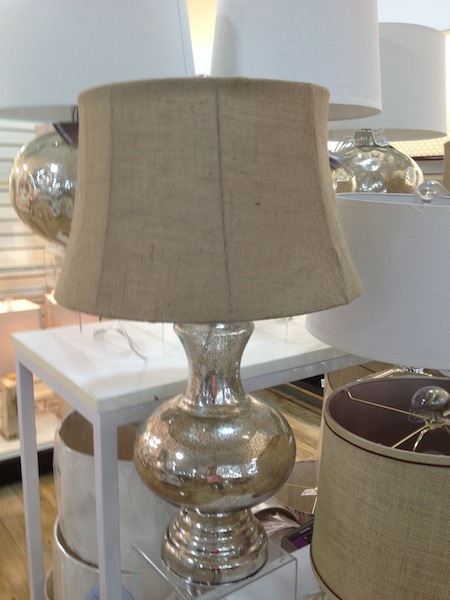 And, that Pottery Barn mercury glass lamp that I wanted so badly, but wouldn't get because of the price tag? 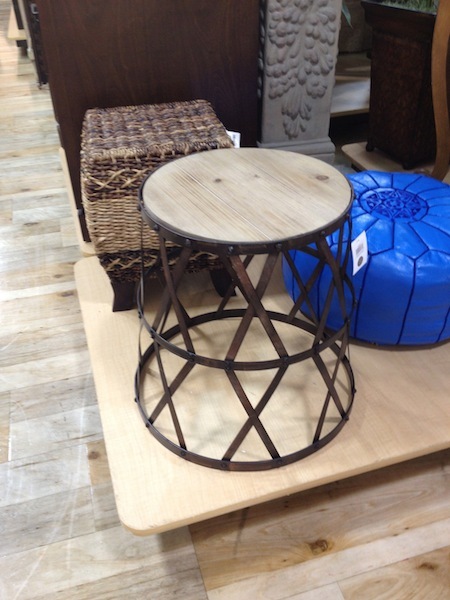 Here are some other goodies I spotted this week at HomeGoods. Maybe one of them is on your wish list? Cool chair. Wish they would have had two. 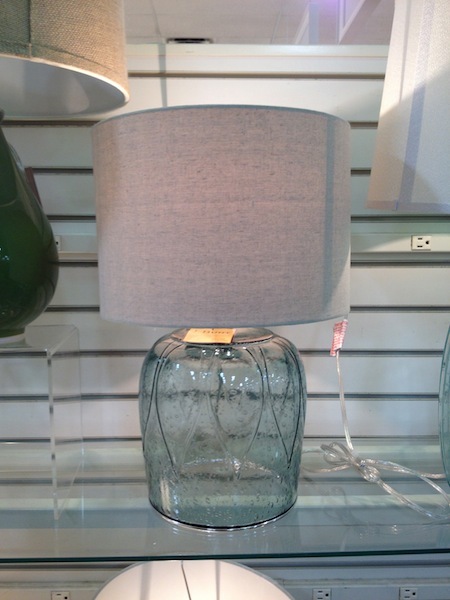 I liked the seeded glass in this lamp base. But, I behaved and walked away. See the mirror peeking out behind it? The frame is made out of corks. Get busy with that, you DIY girls! I'd spray paint it gold though. Oh, I need to see if my HG has the gold and glass table. Great price. I've never heard of a campaign table...will it be used like a desk? Glad you found one! 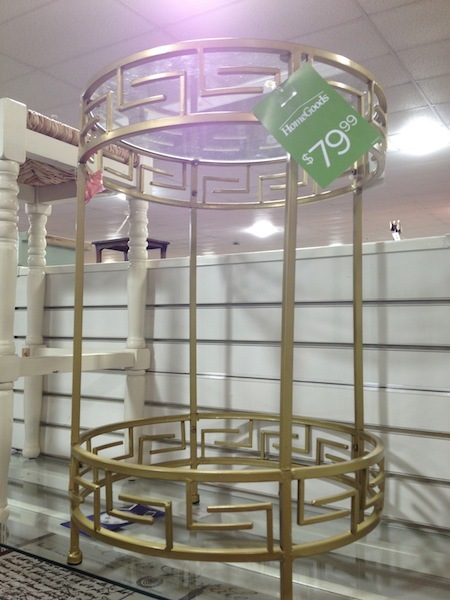 I love the furniture at Homegoods, some pieces are a little rickety but it doesn't claim to have fine furniture. I love their lamps and mirrors and they always great things to hang on the wall. 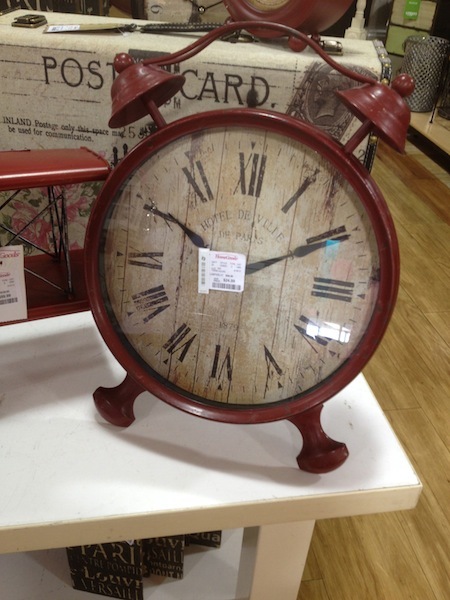 Whenever I see something expensive in a catalog, I know I will find something like it at Homegoods for tons less! We don't have Homegoods here...yet. We are suppose to get one in the fall but I was in TJ Maxx last week and they had a knock off of a lamp I've wanted for ages that was way out of my league. Their version was only $39.99. I'd already DIY'd one though....but still might go back for it. But now I don't need it. I know those stores watch the blogs and pinterest to see what we are all craving and then they make it. I am digging that bar cart for sure. Nice picks!! I am a fan of HG too! love the bar cart...I'm going to Home-Goods today! I am amazed. 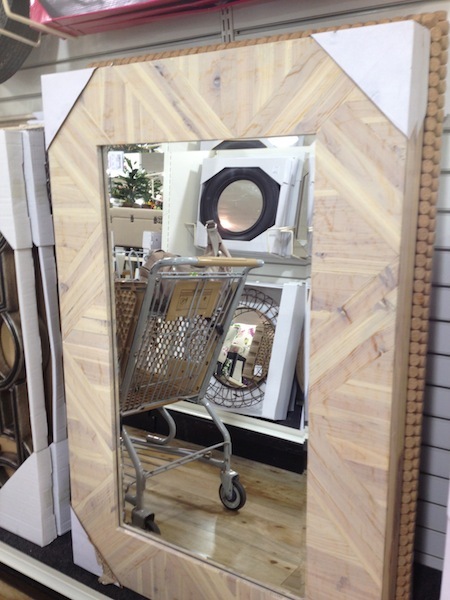 I love Home Goods and can see I need to make another trip there! 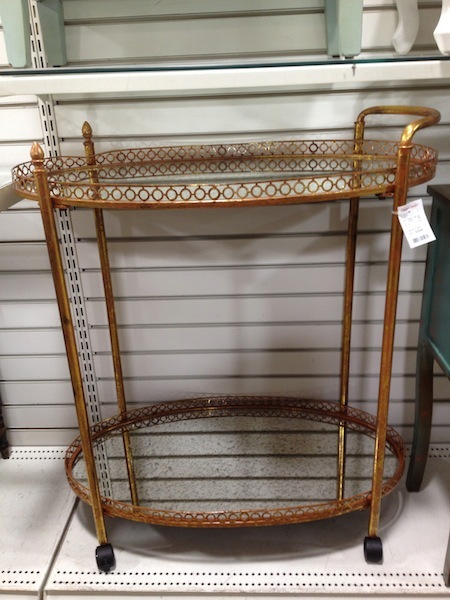 !Love the barcart and the Greek style end table!